Morton striker Jai Quitongo has signed a contract extension, keeping him at Cappielow until June 2018. The 19-year-old, working his way back from knee surgery in January, has scored six goals this season. His form was rewarded with a Scotland Under-21 cap against Slovakia in November, while an offer from Doncaster was rejected in late August. 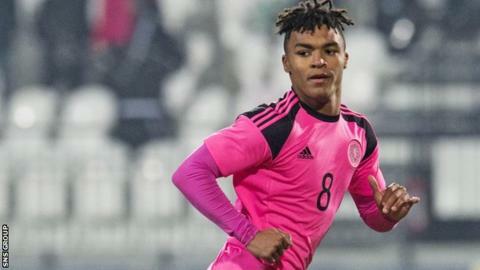 "He's a potentially outstanding talent," manager Jim Duffy told the Greenock club's website. "There was obviously a lot of speculation surrounding the boy just before he got injured. "He's only really had about 20 first-team starts, so he maybe thinks it's in his interests as well to get a bit more experience, and if he keeps developing and working hard he may get that move further down the line."